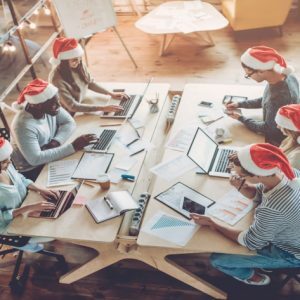 As Christmas fast approaches, CISOs and cyber security experts around the world are busy putting plans in place for 2019 and reflecting on what could have been done differently this year. The high-profile data breaches have been no secret – from British Airways to Dixons Carphone to Ticketmaster and the introduction of GDPR in May 2018 sent many IT professionals into a frenzy to ensure practices and procedures were in place to become compliant with the new regulation. The introduction of GDPR demonstrated that organisations should no longer focus on security strategies, which protect the organisation’s network, but instead focus on Information Assurance (IA) which protects an organisation’s data. After all – if an organisation’s data is breached, not only will it face huge fallouts of reputational damage, hits to the organisation’s bottom line and future prospecting difficulties, but it will also be held accountable to regulatory fines – up to as much as €20 million, or 4% annual global turnover under GDPR. Stolen or compromised data is therefore an enormous risk to an organisation. High-profile data breaches won’t go away any time soon, so it is the organisations that have the correct mindset, with Board-level buy in and a unified approach to securing data that will see the long-term advantages. Complicated, static and siloed approaches to securing an organisation’s data should be a thing of the past, so the good news is that, in reality, everything on a CISOs Christmas wish list is attainable (although not able to be wrapped), and should become a reality in the new year.